Not only did she help inspire me after I got started scrapbooking, but she also helped to inspire my One Little Word of the year: Share. Paige is just so dern good at sharing. When I first saw these amazing PaigeBooks, several years ago, I was absolutely blown away. I waited for some time to figure out just what I wanted and finally decided to commission a couple of wood ones with the doggies' faces on them. Aren't they just adorable? Paige is beyond talented and I am so glad she lives in Southern California so she can work with me on scrapbooking for clients and at events. Excited to have her on board for a wedding this weekend. 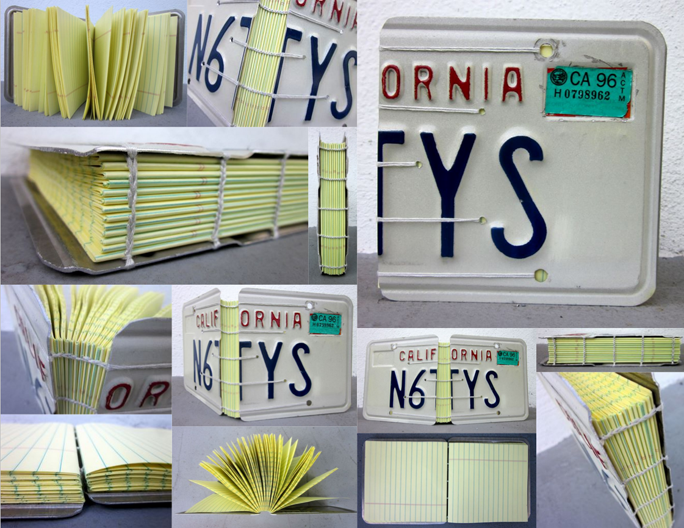 This license plate book is too clever, and may have to be the next one I order from her. She is inspiring and ever so generous, and she is giving away TEN PaigeBooks to celebrate her 1000th blog post! (insert squeals of excitement here.) 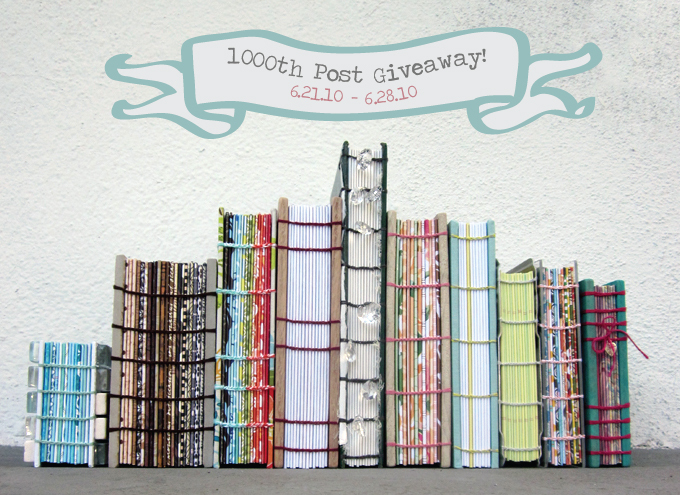 You can see all the books she hand made just for this giveaway and enter to win on Paige's 1000th blog post. Good luck!